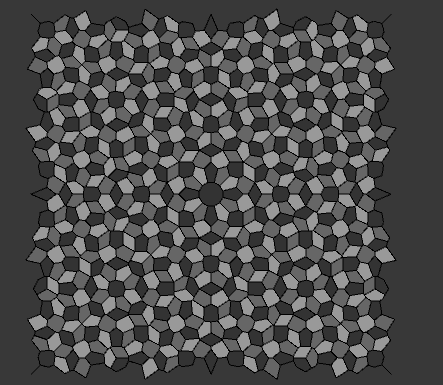 A simple ornamental tiling generator. Hey, I got stuck in a spiraling staircase (I suppose near the end?). You should be more careful when placing those things, or at least have a back-up plan (like a key that resets your position? local checkpoint system or something) for when these things lack polish. Also, the world outside should have a directional light consistent with the skybox, I think. And lighting in general should be better, since I mostly see black walls. Finally, you should either make movement more fun (whatever that means in the context of the game), or give the player a lot more to look at while walking. Almost every game of yours I've played (haven't played Brutalism Prelude yet) seems to rely on several minutes of holding W+Shift to go forward with nothing interesting going on. These are my impressions, anyway. I like what you're trying to do, I just feel that there are several issues distracting me from the core. P.S. : Getting a bit of air and vegetation felt good. Living With The Moonoliths community · Created a new topic Is there any purpose in the structures (or their placement)? Curious about it. Or whether it's just a bunch of random "cool looking" structures placed randomly. Anyway, I like the style! I'd add something regarding the controls and the time is takes to traverse from one place to another with absolutely nothing in between (it gets uncomfortable to just hold W and Shift for several minutes). 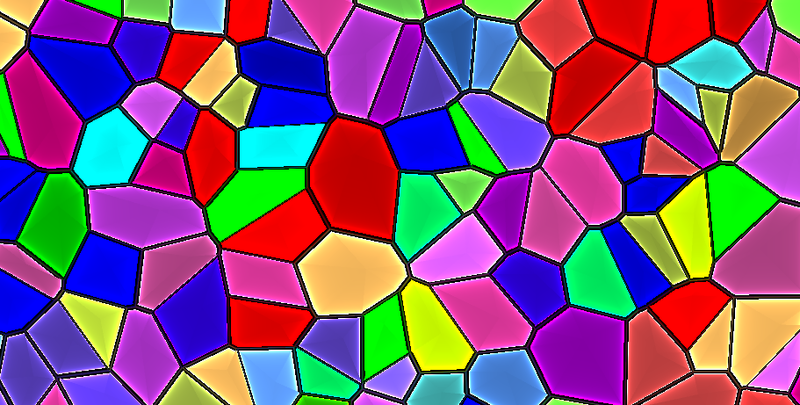 The program creates the tiling as a Unity Mesh. So using shaders is an option. This was the product of a bug, when I was playing around with the outlines and barycentric coordinates. There are some artifacts, but maybe I'll be able to clean it after I get more experience with shaders. This reminds me of stained glass. Might try to modify the rendering to have something like this. If you have some idea related to this (that I could add, perhaps? ), post it here. Feel free to post something you create/find here. Would be nice to see people using this and get something I didn't! Similar to Michael Brough's stuff, though in a more "rigid", puzzle form. Here it is. :) Me trying to figure out what works. Haha, I didn't remember the name as well, only mechanism. But yeah, that is exactly as I meant it. Looking forward to it! I like the water depth mechanic! 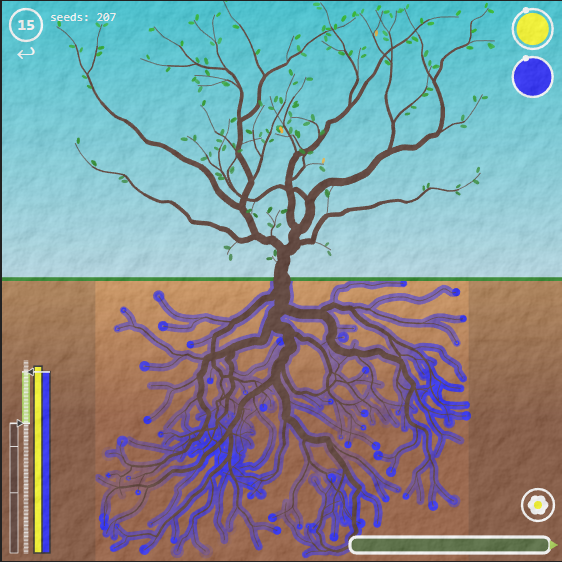 Creating the different root shapes depending on where the water is. Maybe you could add some form of phototropism? To do something similar with the branches. I'll give it a more serious shot later, but the Tree Gallery tree looks awesome, great work! The mobile game is called Infinity Loop. I guess my monitor is getting obsolete haha. But yes, it work fine now, great! No problem, and keep up the good work! I'll try Hellstar tomorrow, seems interesting. Aah, I'm pretty sure that's it, then. Even on the main menu, the boxes were very close to the edges of the screen. I'm playing on 1360x768 and there is no "EQUIP" button. http://imgur.com/f1ljS2b Here's how it looks. I've downloaded it yesterday, so I believe it's the latest version. And yes, it happened every time I tried (all game modes) and for the 2 different weapons I got to pick up. No worries, looking forward to try it, if you fix it!